The Harley Quinn Black and White statue line has some new additions this year. The DC Gallery brings to life one-of-a-kind items from the world of DC. “Rick Baker’s Joker Bust is a really impressive, giant, one‑to‑one bust,” Fletcher said. “Barker is a master of Hollywood special effects, he's won seven Academy Awards for doing scary stuff. I think he did a great job. The detail on this thing is just amazing.” The limited edition bust (200) will have an MSRP of $1000.00. Release is planned for October. The Joker Cane Prop by Jonathan Matthews is due in June with an MSRP of $125.00. The Two-Face Coin Prop has an MSRP of $30.00 and will arrive in July. The DC Designer Series Statues for 2018 will include Batman and Joker statues by Brian Bolland, due in August and September respectively. MSRP is $80.00 each. A Jim Lee Collector 3-Pack Statue Set (Batman, Superman, Wonder Woman) will release in November. MSRP is $175.00. A Metal Batman by Greg Capullo, Red Hood by Kenneth Rocafort, and Supergirl by Michael Turner will also be released in June, September, and October. MSRP is $150.00 each. The DC Designer Series Trinity by Jason Fabok includes the Justice League trinity of Batman, Superman, and Wonder Woman. MSRP is $395.00. Release is planned for September. DC Gallery Comic Harley Quinn with Gun PCV Statue MSRP is $45.00. Release is planned for winter. DC Gallery Comic Green Arrow PCV Statue. MSRP is $45.00. Release is planned for fall. 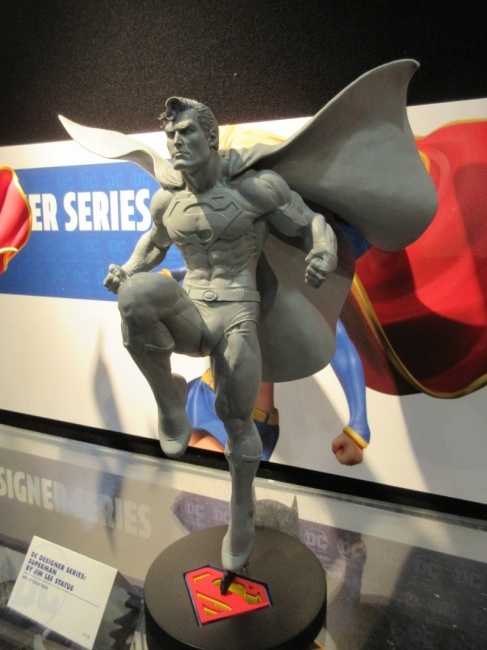 DC Gallery Comic Superman PVC Statue MSRP is $45.00. Release is planned for summer. DC Gallery Comic Supergirl PVC Statue MSRP is $45.00. Release is planned for fall. DC Gallery Comic Shazam PVC Statue MSRP is $45.00. Release is planned for 2019. DC Gallery Comic Aquaman PVC Statue MSRP is $45.00. Release is (Pending Approval). DC Gallery Comic Catwoman PCV Statue MSRP is $45.00. DC Gallery Comic Harley Quinn PCV Statue MSRP is $45.00. Release is planned for summer. DC Gallery Comic Batman PCV Statue MSRP is $45.00. Release is planned for fall. DC Gallery Comic Green Lantern and Joker PCV Statues. Both appear to be excusive to Game Stop. There were also two Gotham City Garage Statues – Supergirl and Batgirl on display. Supergirl will release in July ($125.00. 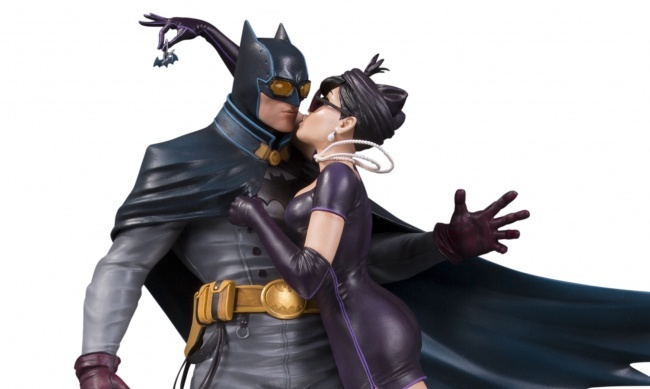 ), and Batgirl is planned for September ($350.00). A DCTV Black Lightning Statue ($130.00) will release in July. Two Harley Quinn Red, White & Black Statues ($80.00 each) will release in September (Harley Quinn by Philip Tan) and November (Harley Quinn by Michael Turner). A DC Cover Girls Batgirl by Joelle Jones ($125.00) will release in August. See 35 images in the gallery below!